Our fee structures are designed for every type of seller, from those who just want to list their property online for a fixed fee, to those looking for a full service premium estate agent. 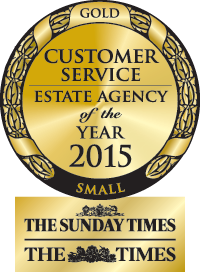 We offer a true hybrid model between the conventional high street agents and the online agent. We believe this structure is fair and reasonable, and in many cases is cheaper than the high street agents, but with a premium personal service. Please note that the above fee table applies to sole agency instructions only. Please get in touch for multiple agency fees.